High in animal-based protein to support lean muscles and a healthy body condition. 100% Natural. No gums, tapioca or potato starch, grains, or other additives. Mackerel, Mackerel Broth, Chicken, Chicken Broth, Pumpkin, Mussel. 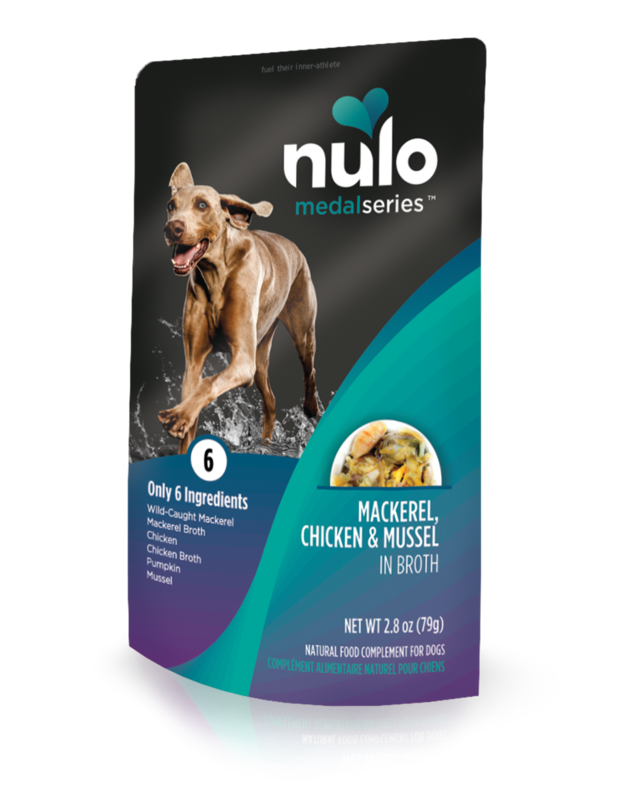 MedalSeries Puppy & Adult Mackerel, Chicken & Mussel in Broth Recipe are intended for intermittent or supplemental feeding only. This is a complementary food intended to be fed with a complete and balanced dog food diet.